Pens and pencils are experts in the business of getting your name noticed. 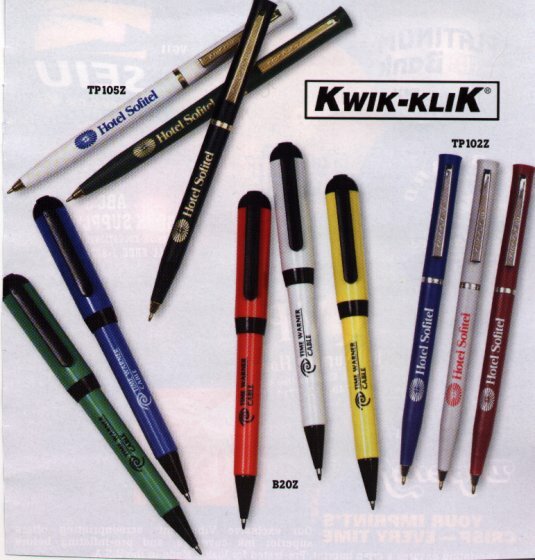 Pens are available in many plastic colors and variety of metals, woods and even marble! A favorite pen is treasured by its owner. Put your name in their hands!